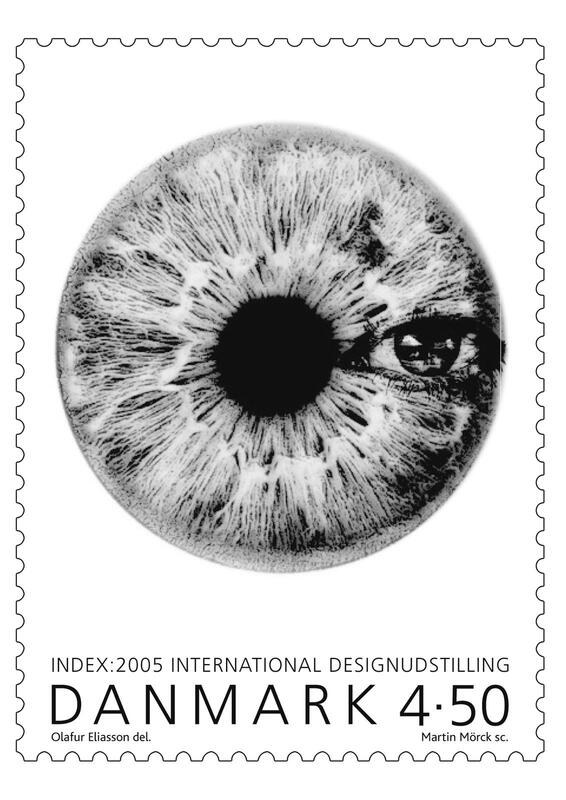 Commissioned by Post Danmark, this stamp consists of a printed pupil and iris. 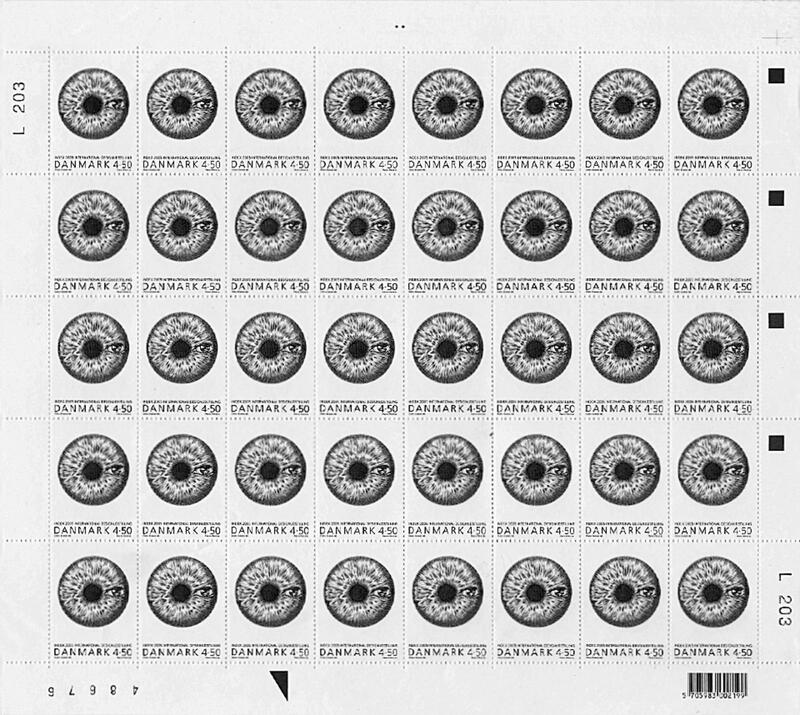 A small eye is drawn inside the iris. Issue date: August 24, 2005.